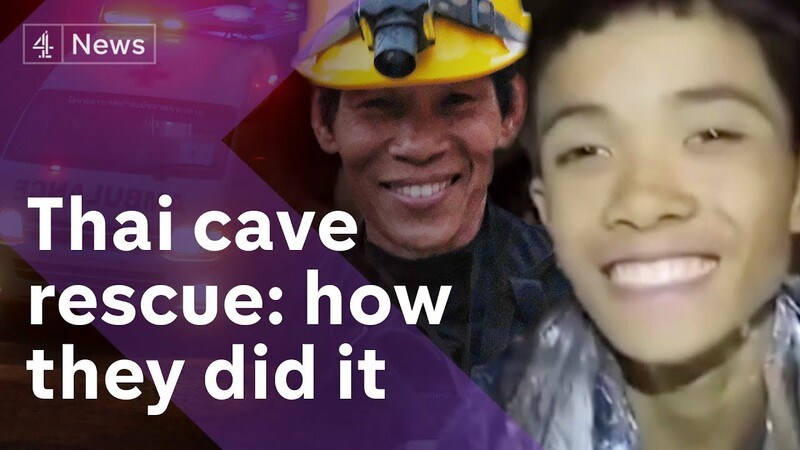 All 12 Soccer team members and their coach have been rescued form the Thai Cave. After over 5 days of working to rescue the team members and their coach success was finally achieved. The rescue operation was an international event involving countries from around the world. Everyone with expertise was front and center contributing towards the rescue. Over 1000 people were involved in the operation excluding volunteers and the operation involved over 100 divers as explained in the video below. Unfortunately, there was one casualty during the operation. It was that of a Navy Seal, Saman Gunan, who suffered oxygen depletion on his return run from supplying oxygen to the team. Watch Channel 4 News coverage of this rescue mission in the video clip below.